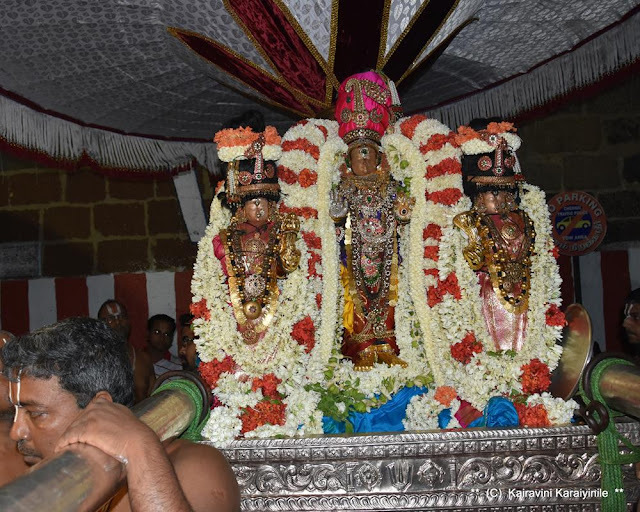 Today 29th June 2018 – is the grand occasion of Thiruther for Sri Theliya Singar i – day 7 of Aani Brahmothsavam. 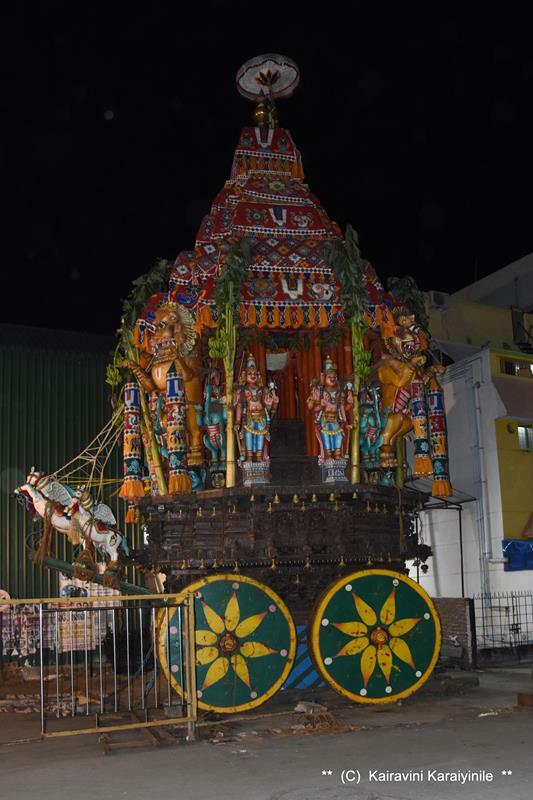 Thiruther is most majestic and thousands descend to the divyadesam to have glimpse of Emperuman and the rolling juggernaut. This morning Sri Azhagiya Singar had purappadu to Thiruther @ 05.00 am - here are some photos of the purappadu through Peyalwar koil street. 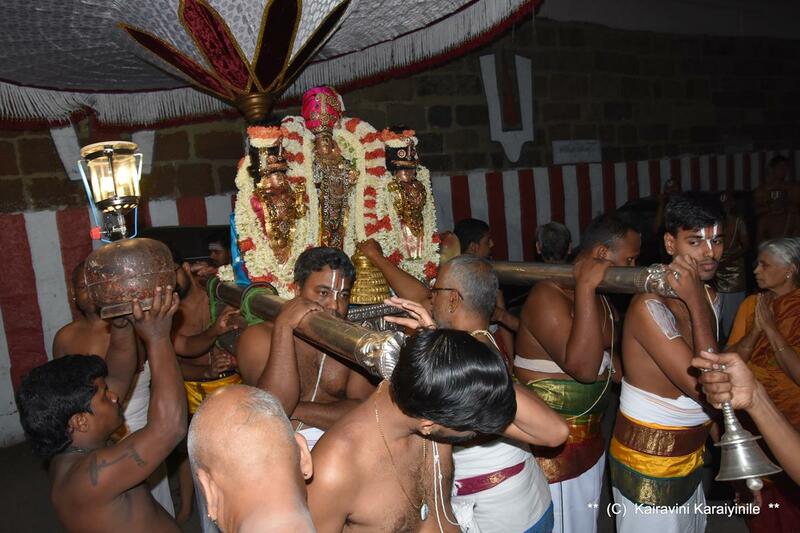 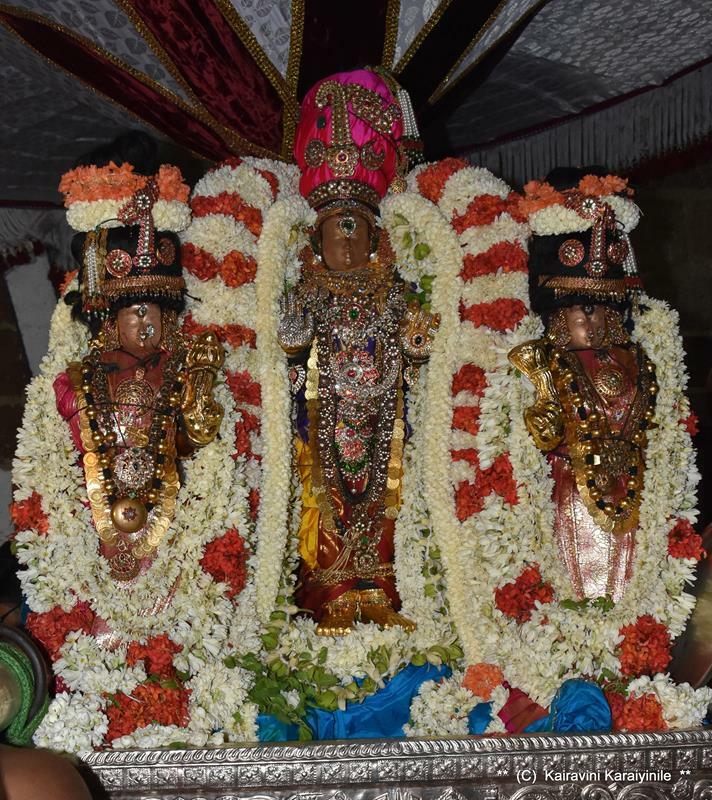 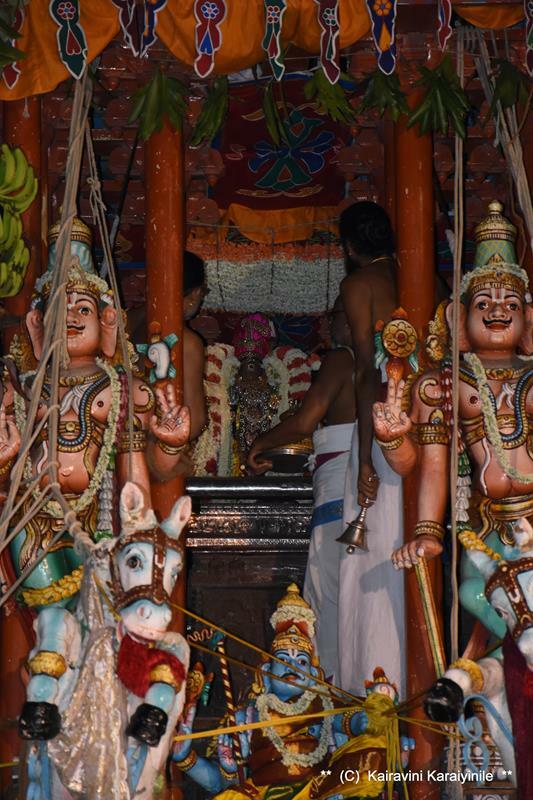 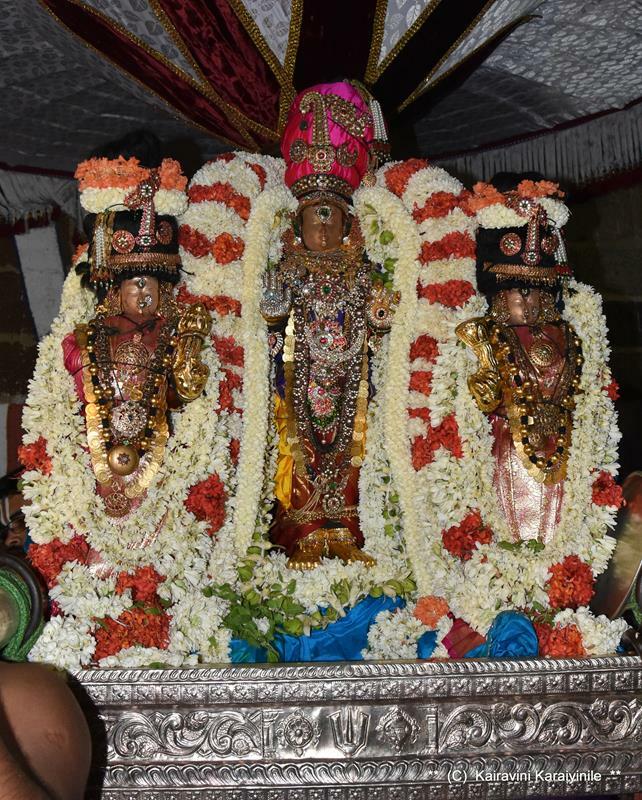 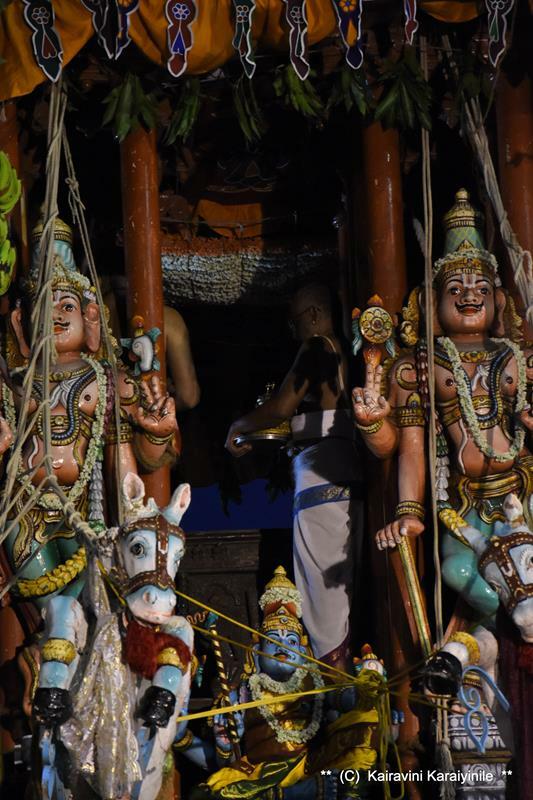 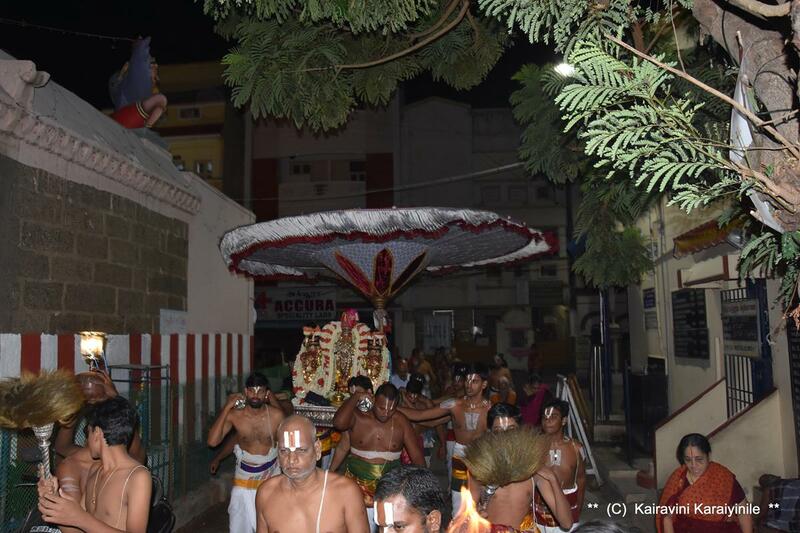 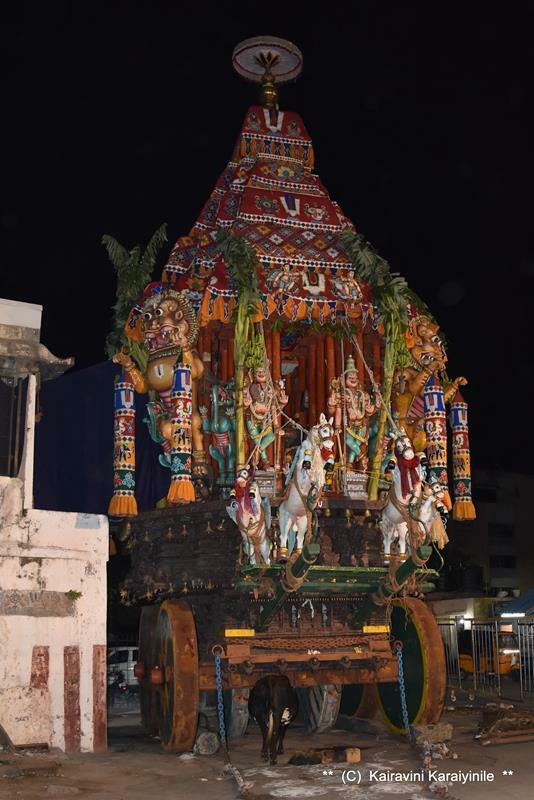 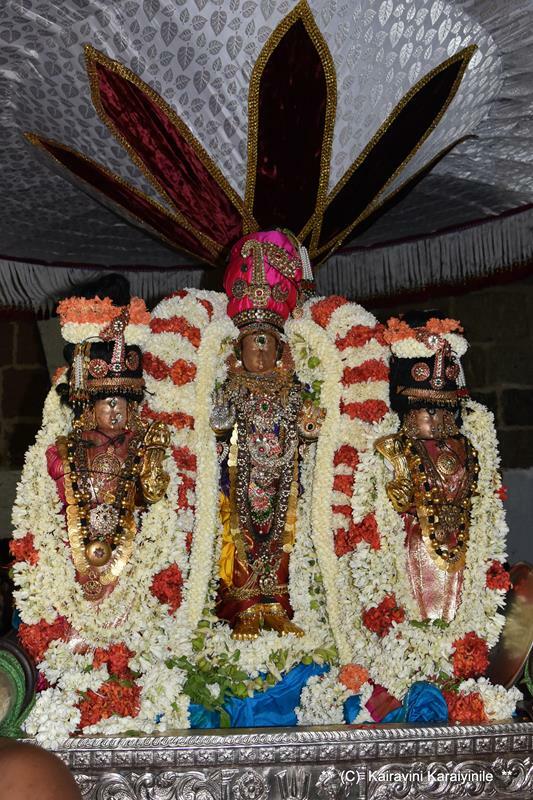 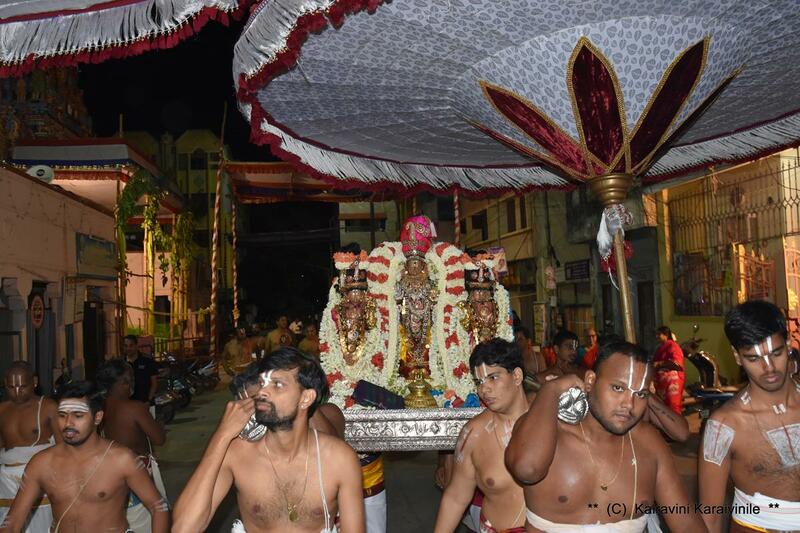 In an hour’s time, there would be the grand thiruther purappadu – all are invited to be at Triplicane and have the blessings of our Emperuman.. .. .. thiruther vadam @ 7 am. It is always a mystic experience ~ Perumal coming out of the sannathi – the band music and the rhythmic manner in which He is taken in purappadu .. .. and there were hundreds waiting to have this darshan. 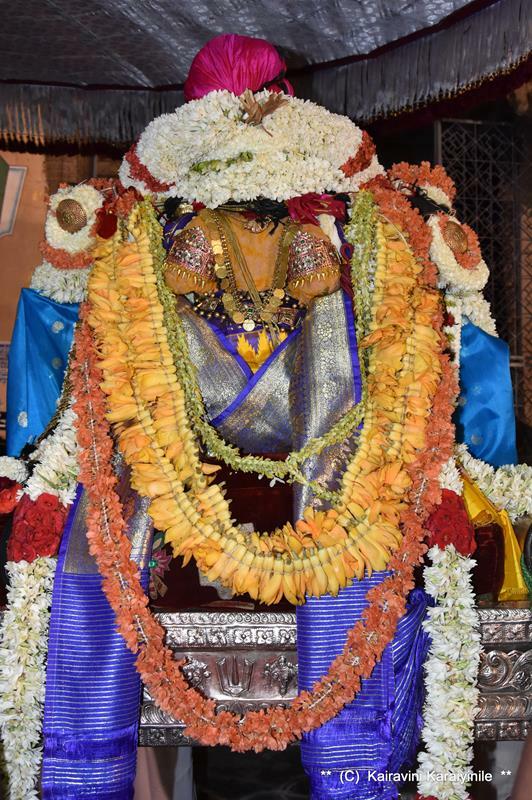 ~ Can there be more bliss than looking at and understanding the radiance and opulence of Sriman Narayana, enjoy His great qualities and merge into Him ! 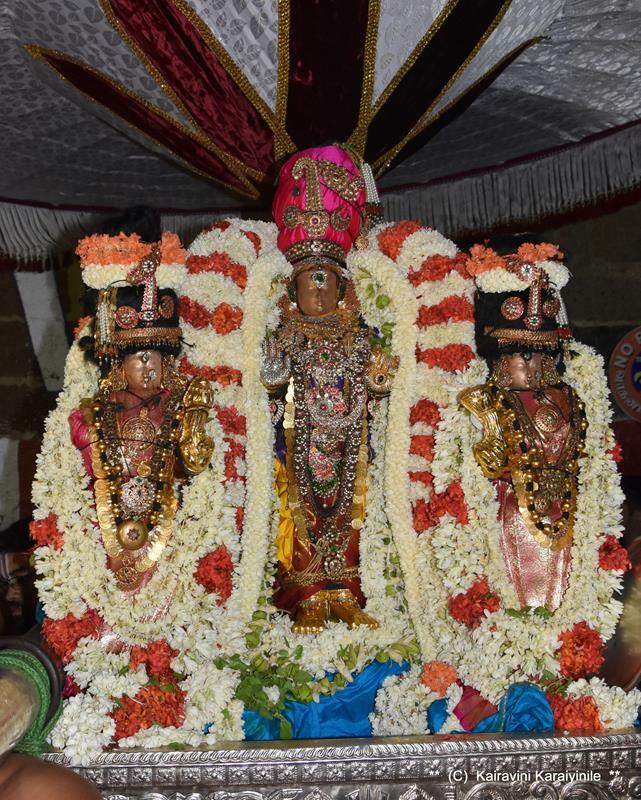 adiyen Srinivasadhasan. @ 06.00 am 29th June 2018.